Planning ahead: Deloitte’s CEO James H. Quigley says India’s superior growth rate will become a magnet for inbound investment. 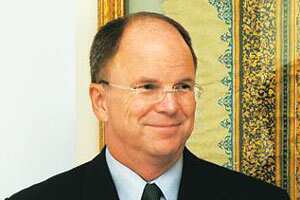 New Delhi: Consultancy firm Deloitte Touche Tohmatsu plans to boost its India ranks by 30% in three years as it prepares for greater business from the world’s second fastest growing major economy, chief executive officer James H. Quigley said. “We have been growing at 30% annually. Last year, we had 8,000 people on our payrolls, which have increased to 11,500 this year and we are looking to take our headcount up to 15,000 within the next three years," said Quigley. “My M&A specialists are not on the beach—they are working on projects with clients. In the next 12 months, we will see significantly more deals completed than we have seen in the past year," he said. Deloitte’s growth, he added, would primarily come from public sector practices, healthcare and life sciences practices, and energy and resource practices. Terming the economic crisis a terrible thing to waste, Quigley says he expects recovery to be led by consumption from countries such as China while consumers in the US would focus more on raising their savings. “In terms of credit spreads, we are back to same level that existed just before the Lehman Brothers bankruptcy. However, while the economic recovery is now a question of when, rather than if, what shape it will take is uncertain," he said. Quigley says as banks start building their balance sheets, credit supply could face a constraint which will lead to a slow recovery process, albeit a sustained one. “In the Indian market, what we are going to see is that despite the constraints of infrastructure, its superior growth rate will become a magnet for inbound investment," he says. The firm, which recorded a revenue of $26.1 billion (Rs1.21 trillion) last year, has announced an initiative titled “Winning in a changing world". “We will help companies optimize their cash flow and earnings and also restructure their cost level," said Quigley.